Which one of Daenerys Targaryen’s dragons was killed by the Night King in Sunday night’s Game of Thrones? It was an awful sight to see one of Dany’s dragons spill buckets of blood before crashing into the icy water — not to mention how the Night King raised it from the dead — but if you aren’t sure which one died, you’re not alone. It’s a little tricky to tell the difference between Drogon, Viserion, and Rhaegal, so let’s figure it out. In George R.R. Martin’s novels, the dragons are described as much more distinctive than they appear in the show. Drogon’s scales and teeth are black and he has red eyes. Viserion is mostly a cream color, although Daenerys refers to him as her “white dragon,” and his eyes and horns are gold. Rhaegal’s body is made up of green and bronze tones, with black teeth and claws. In the darkness and flames of “Beyond the Wall,” it was hard to tell them apart. 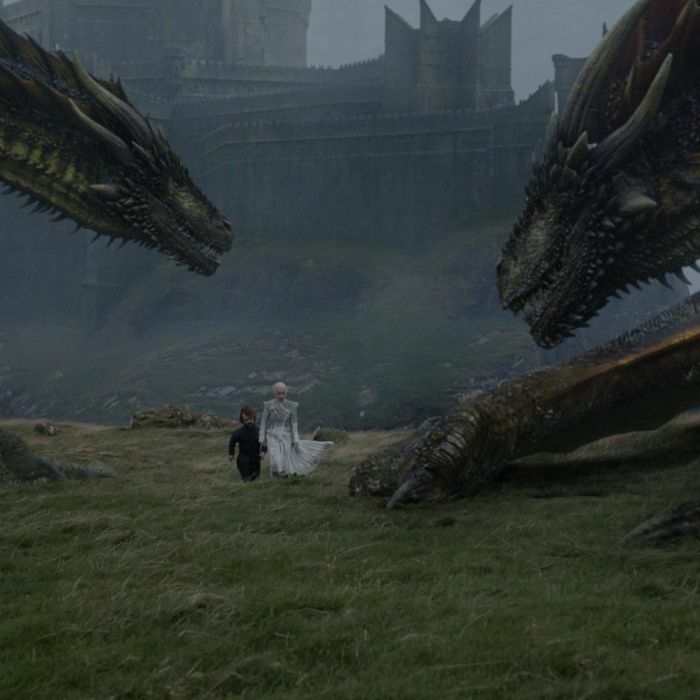 Now the Mother of Dragons is left with just two of her babies: Drogon and Rhaegal. She’ll of course keep riding Drogon, but what about Rhaegal? Though we can’t say for sure who the second dragon rider will be, the safe bet is Jon Snow. As we saw earlier this season, his Targaryen blood makes him predisposed to put dragons at ease. Plus, it’d be an especially appropriate pairing because of Jon’s parentage: Rhaegal is named after his likely father, Rhaegar Targaryen. He doesn’t know it yet, but Jon Snow was born to be a dragon rider.